Information and images for this article provided by Ron Salvatore, Christian Emory, Rasmus Risbak, Chris Georgoulias, and Kim Zoll. Special thanks to Joseph Yglesias for consultation. 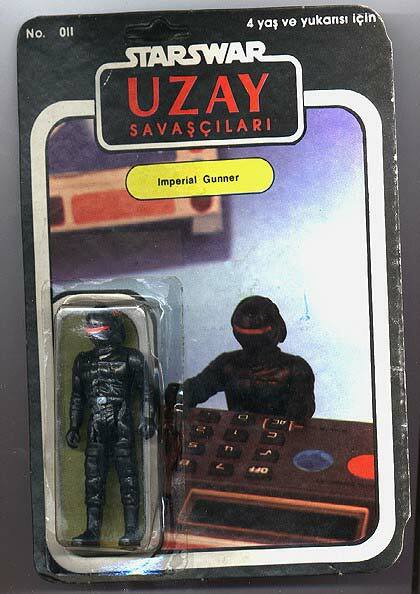 For many years the Turkish line of UZAY bootlegs were arguably some of the most sought after of all the Eastern Bloc bootlegs. In recent years there’s been a bit of a shift in “power”, so to say. The line of bootlegs coming out of Eastern European countries like Poland, Germany, and Hungary has grown in popularity by leaps and bounds, much to the dismay of most bootleg collectors and thier wallets. While they don’t exhibit the same level of “coolness” associated with the UZAY's graphically superior cardbacks they are cool to collect in their own right. The thing about these bootlegs that is very attractive is the mystery. You never really know what will turn up. While writing this article I was made aware of a few things I never even knew existed. Getting a complete set of any of the multiple lines of Polish/ Eastern European bootlegs is near impossible, unless you are willing to only collect one of each figure in whatever color comes along. For some collectors, myself included, the hunt is everything. The fact that these things can turn up on any number of cards or in any number of colors is what keeps this line “fresh” to me. It’s very difficult to categorize many aspects of the various lines to come out of Eastern Europe but I hope this article puts many of these figures into somewhat of an easier to manage light. So whether you’re a seasoned bootleg collector, one just starting out, or just looking to kill some time and have a few laughs, there’s something for everybody in the pages ahead.